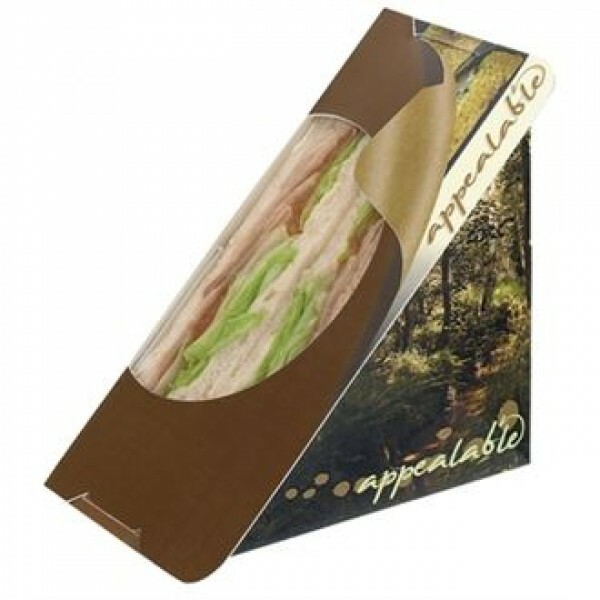 Biodegradable, recyclable and compostable self-seal sandwich wedge packs with a simple adhesive tape strip, which removes the need for heat seal machinery giving its contents up to a two day shelf-life and can be resealed. 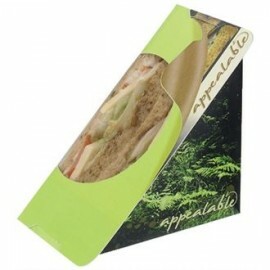 These sandwich wedges have an aesthetically pleasing woodland print on the sides. 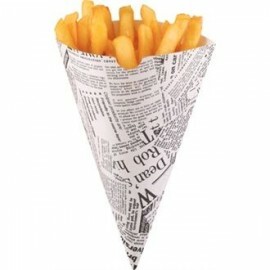 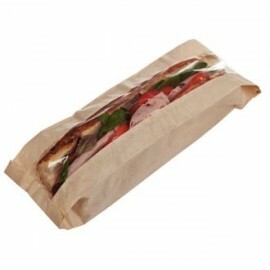 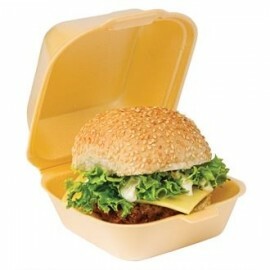 These paper baguette bags are suitable for baguettes up to 14" long and are an attractive and cost e..
Made out of non-absorbent polystyrene foam these large clamshell burger boxes can retain heat for up..
Take a look back to when fish and chips were served in newspaper with these vintage designed classic..